The recent decision by the Ukrainian Orthodox Church to split from its Russian counterpart after more than 300 years of being linked reflects not only the continuing military conflict between the two countries in recent years, but also the important political role Orthodox Christianity plays in the region. Ukraine is an overwhelmingly Orthodox Christian nation, with nearly eight-in-ten adults (78%) identifying as Orthodox (compared with 71% in Russia), according to a 2015 Pew Research Center survey of much of the country (some contested areas in eastern Ukraine were not surveyed). This is up from 39% who said they were Orthodox Christian in 1991 – the year the officially atheist Soviet Union collapsed and Ukraine gained its independence. With roughly 35 million Orthodox Christians, Ukraine now has the third-largest Orthodox population in the world, after Russia and Ethiopia. In addition, Orthodox Christianity is closely tied to Ukraine’s national and political life. Roughly half of all Ukrainians (51%) say it is at least somewhat important for someone to be Orthodox to be truly Ukrainian. The same is true for Russia, where 57% say being Orthodox is important to being truly Russian. In both countries, about half (48% in each) say religious leaders have at least some influence in political matters, although most Ukrainians (61%) and roughly half of Russians (52%) would prefer if this were not the case. The split between the Orthodox churches in the two countries is part and parcel of a wider history of political tensions between Russia’s geopolitical ambitions in the region and Ukraine’s resistance to them – even as some other predominantly Orthodox countries in Eastern Europe look toward Russian for political and religious leadership. 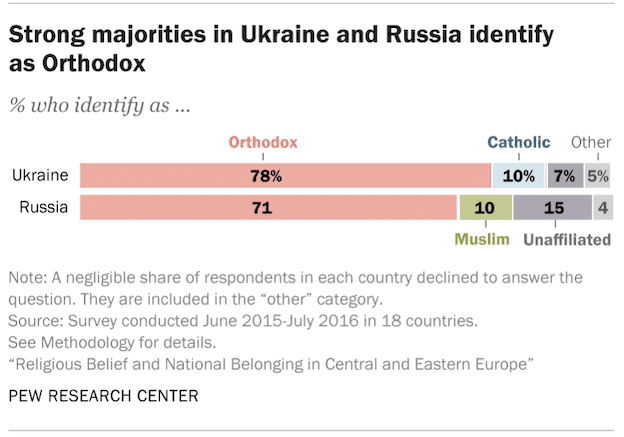 For example, majorities of Orthodox Christians in countries such as Serbia (77%) and Georgia (62%) say Russia has an obligation to protect Orthodox Christians outside its borders, but fewer Orthodox Ukrainians (41%) feel this way. Indeed, even though the survey was conducted in 2015 – while the Ukrainian Orthodox Church was still under the jurisdiction of the Russian Orthodox Church – a plurality of Orthodox Ukrainians (46%) said they looked to the leaders of the Ukrainian national church (either the patriarch of Kiev or the metropolitan of Kiev and all of Ukraine) as the highest authority of Orthodoxy. Just 17% saw the patriarch of Moscow(currently Kirill I) as their spiritual leader, and an even smaller share (7%) said they looked to the ecumenical patriarch of Constantinople(currently Bartholomew I) for leadership, even though he is technically the foremost leader of the world’s roughly 300 million Orthodox Christians. 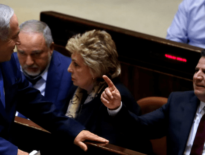 But attitudes in Ukraine toward Russia’s political and religious leadership are also highly divided between the eastern and western parts of the country. Eastern Ukrainians have more positive attitudes toward Russia than do western Ukrainians. For example, the 2015 survey found that over half of those living in the east (55%) say Russia has an obligation to protect Orthodox Christians living outside its borders. In western Ukraine, meanwhile, a majority (58%) disagree with this view. The patriarch of Moscow also receives higher support in eastern Ukraine than in western Ukraine. 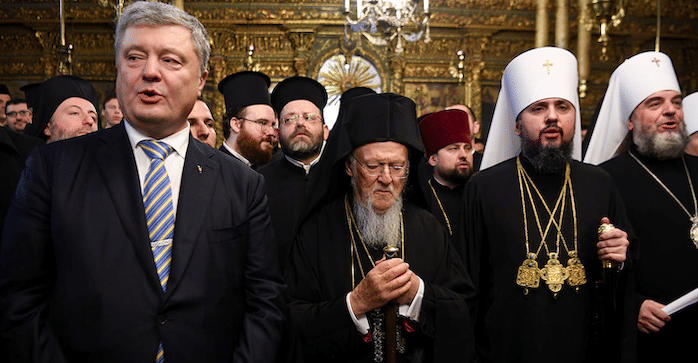 Western Ukrainians are more likely to look to their own national patriarchs as the highest authority of the Orthodox Church. Due to fighting in eastern Ukraine between pro-Russian forces and the Ukrainian government, the 2015 survey used in this analysis covered only 80% of the country’s population and excluded the southernmost province of Crimea (which Russia annexed in 2014), as well as the eastern provinces of Donetsk and Luhansk. Given ongoing geopolitical tensions between the two countries, western Ukrainian attitudes toward Russia are not likely to have improved since 2015. But support for Russia in eastern Ukraine may have been somewhat higher had we been able to survey the contested provinces of the country.